Hedges, flowering strips and other semi-natural habitats provide food and nesting places for insects and birds in agricultural landscapes. This also has advantages for agriculture: bees, flies, beetles and other animal groups pollinate crops and control pest insects in adjacent fields. But how much of these habitats are necessary and how should they be arranged to make use of these nature-based ecosystem services? "In order to reduce pests and promote biodiversity, increasing the density of semi-natural habitat elements can be an ideal solution for farms. You don't have to remove much land from cultivation to reach a significant effect," says Dr. Martin. 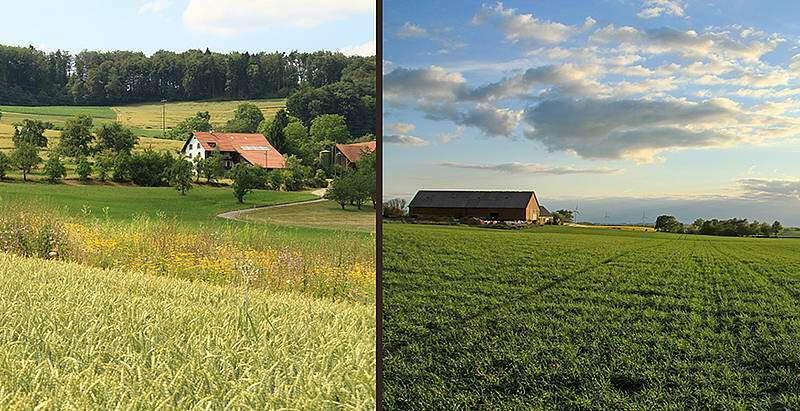 "The implementation of these findings would be an important step forward in the effort to achieve a sustainable and biodiversity-friendly agriculture," says Professor Ingolf Steffan-Dewenter, head of the Chair of Animal Ecology and Tropical Biology and co-author of the study.